This may be a long read but it will be well worth it... Kindly read till the end. To a large extent, I see that a whole lot of people are not educated about TBC not because there's no education available but mostly because they are not interested in education. Where the purpose of a thing is not known, abuse is inevitable! 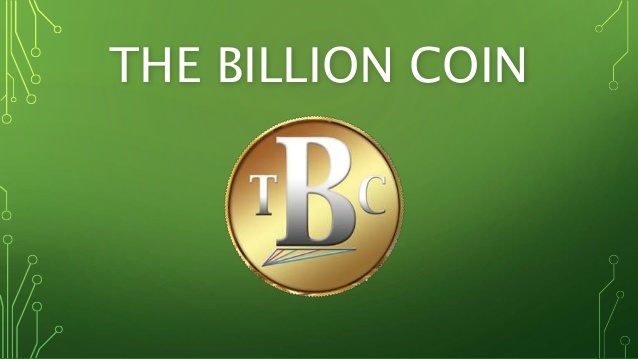 With all sense of commitment, it is our responsibility to grow the TBC community. The TBC Admin is only making things a lot easier for us to take responsibility. The Money Making aspect is just complimentary... So people, don't focus on the complimentary and lose sight of the fundamental. The Creme de la Creme of the top echelon of the Global Power Structure have perfected the plan to make Humans a body of computer with their planned implantation of chips. This move is to make humans a walking computer that can be shut down from the server if we don't comply to their whims & caprices, the same way a webmaster can shut down a malfunctioning website. Without a Global Move for Financial Freedom, there's not much any of us can do to stop this move. TBC, therefore is a major tool to break free from the desperate effort for human control and oppression. But the thing is... We must be Financially Free en-masse. If the mass of those without Financial Freedom is still enormous, then the Financial Freedom of the few comes to nought. *Elon Musk*, the Founder & CEO of SpaceX is perfecting plans to make humans an Interplanetary specie (that is, for humans to live in more than 1 planets, preferably Mars). He plans to make a Robotic trip (a self-driven ship) to Mars by 2020. Followed by a Crewed Mission (take people there) to Mars by 2024. He plans to build a city around the surface of Mars that will be inhabited by humans. One of the reasons for this will shock You... He said he believes that human existence on the earth may be extinct. This may not be unconnected to a report I read that the Global Elites are fine tuning many strategies to keep the World's Population in check through wars, the release of harmful chemicals etc. The truth is that the world around us has changed very much but very many People are at ease because of ignorance. For as long as the collective wealth of the people lie in the hands of a few, these kinds of evil will remain in place and will increase. This is why there must be a committed drive to *Decentralize Everything*, so that the people become effectively in control of their own lives which is the fundamental message of Cryptocurrency. Every aspect of our lives has aggressively changed including the way we do business. In this new Economic Revolution that the Blockchain Technology brings, there will be a massive shake up & an emergence of new Global Players. We must become more united to spread the news of TBC not because we want to make Money but because we must make it impossible for the Global Elites to achieve their agenda against us. Once we get critical mass of people into TBC, we would have a voice & a choice to live life in our terms. There's no reason why You shouldn't be able to tell people about TBC. They don't believe it? Then give them Kringles, it's Free. Somebody told me one day that the reason he's not been able to bring people is because they have not seen the proof of TBC on him, that people say "how can he be talking of abundance when he is still broke"
Come on... If that's the case, then talk to people broker than You... there are people who are praying to be like you, seek them out & talk to them. You must be able to do Niche Identification, not everybody is your target market. It is wisdom to know your phase & size per time. If you must talk to someone beyond your phase & size bracket, then get the help of a Leader. TBC Marketing Campaign should be an aggressive one and requires a united effort, which means you also have a role to play. If you do it for the Money, your desperation will show & nobody likes to do business with desperate people. Please check one of my previous posts on how to share this free gift with people through your referral link as well.